Twenty years after the world united to ultimately thwart an alien invasion that left planet earth in ruins…..they’re back! When Independence Day hit theater screens back in 1996, with it’s iconic images of an Empire State Building and the White House being destroyed by alien laser blasts, along with a star-making turn by Will Smith, together with a terrific cast and a gung-ho American spirit, it became an instant summer smash, and the number one movie of the year. 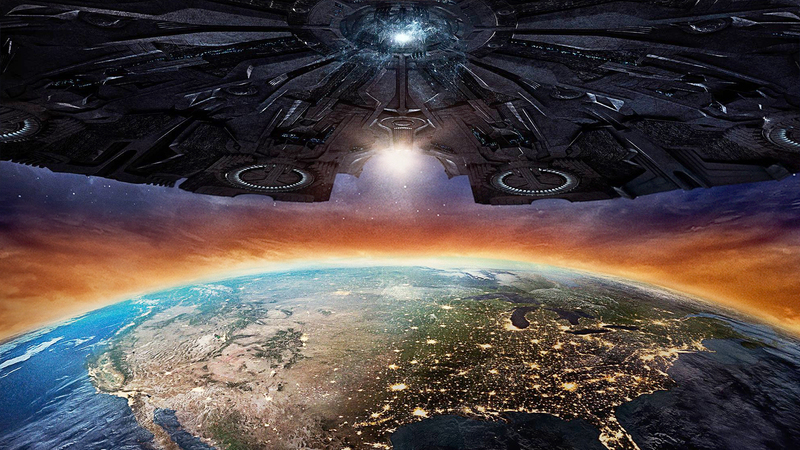 Now, after what in movie terms would be considered light years, Independence Day: Resurgence continues the war between the human race and that of an alien civilization determined to finish what it started. In the two decades since the devastating alien attack, technology has increased at an impressive rate for mankind (much greater than our actual technology-perhaps an alien attack is just what we need), with bases set up on the moon, Mars and beyond in order to detect any impending otherworldly forces looking to wreak havoc on our planet. When that does indeed turn out to be the case, it once again takes a clever and brave group of individuals to figure out a way of stopping this hostile horde from annihilating the human race once and for all. 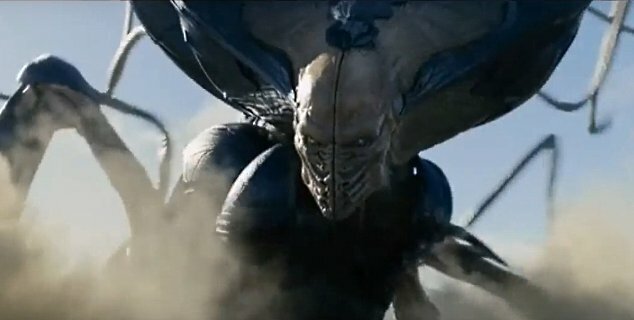 Like the first film, Independence Day: Resurgence is packed with scenes of mass destruction, along with battles in the air, and this time, on land as well. Though mankind has gone through this before, the aliens are back in greater numbers and with bigger ships, and the film unspools as a sort of mystery in trying to figure out what the aliens’ ultimate objective is, and in turn, how to defeat them. The aerial displays of combat are breathtaking, and the scenes of destruction with sometimes beloved characters struggling to survive them are suspenseful, and at times, emotional. While the spectacle of seeing well known landmarks being destroyed in the blink of an eye is certainly a big reason for the appeal of films like these, it is ultimately the characters that draw you in and get you to care about what’s happening on the screen. That is most definitely the case here, as a number of well known faces pop up in major and supporting roles. Jeff Goldblum returns as scientist David Levinson, along with former President Thomas Whitmore, and it’s great to see them take charge again versus such insurmountable odds. Also back is Judd Hirsch, who all but stole the first film, as David’s father, and who has remarkable not aged in the past twenty years, Vivica A. Fox as ex-stripper turned hospital administrator, Jasmine, Brent Spiner as the loony Area 51 scientist who managed to survive after all, and the late Robert Loggia, in his final role, as General Grey. Noticeably absent is Will Smith, but picking up the slack are his stepson, Dylan (Jesse Usher), Jake (Liam Hemsworth) and Chinese actress, Angelababy as Rain Lao, fighter pilots who lead the attack on the aliens. Maika Monroe, from last year’s horror classic, It Follows, plays President Whitmore’s daughter, and Sela Ward has the task of being the current president (a female president perhaps a portent of what’s to come in America later this year), and William Fichtner as a take charge general. In a world that we live in now where there is so much strife among different nations, acts of terrorism seemingly everyday, and fighting and war within countries among those with different ideals or objectives, it is comforting and reassuring in seeing everyone on the planet coming together to fight a common enemy, even if it’s just in a big budget, summertime popcorn movie. 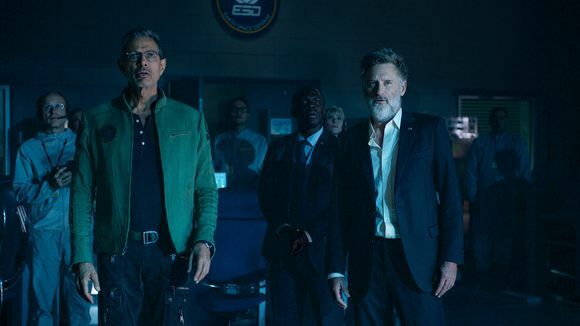 While, ultimately, that’s what Independence Day: Resurgence is – a fun, bombastic warm weather flick, it is that hope that one day, we can all realize that it is our differences that make us interesting and our similarities that bond us together. Hopefully, we can come to that realization on our own, and it won’t take a hostile alien invasion to bring us all together. 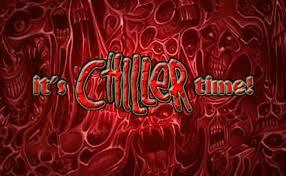 Deep Red Magazine’s Bloody Return!